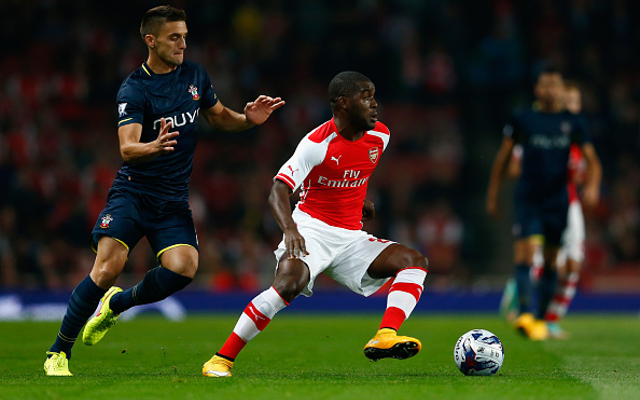 Joel Campbell could still join Portuguese side Benfica this January, with the youngster desperate for first team football, according to Italian publication TMW. 22-year-old Campbell has made just seven appearances for Arsenal this season, and is hoping to get more game time in the second half of the campaign. Arsene Wenger doesn’t seem to be able to guarantee him that however, so may sanction a move away from the Emirates. The Frenchman has previously claimed that the Costa Rican will not be leaving the club in January, whether that be on loan or on a permanent deal. Wenger is however, known for keeping his cards close to his chest when it comes to transfers. Campbell enjoyed a fantastic loan spell at Olympiakos last season, and went on to perform superbly at the World Cup for his national side. He appears to, for whatever reason, have failed to adequately impress Wenger during his time at the club, and finds himself confined largely to the bench.